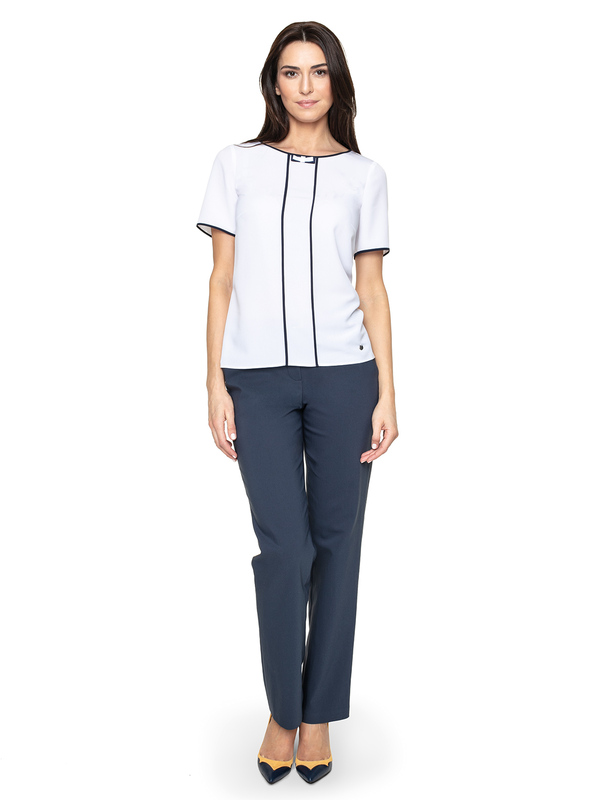 Sleek Marina trousers are ideal for creating an “office look”. 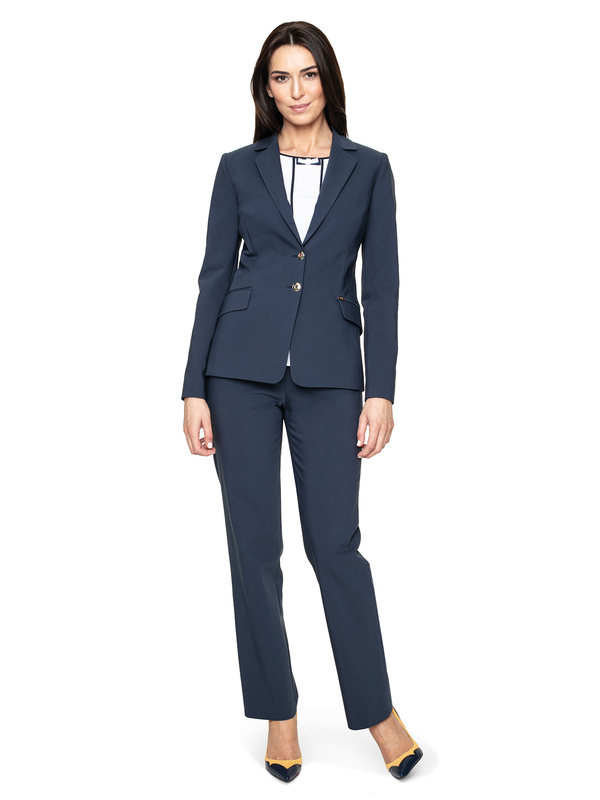 These simple pants add chic to office styling. They are also extremely comfortable to wear. They have a slightly widened cut and high waist. The standard length of the legs makes them ideal for combining with high heels. Dark pants need to be balanced in colour with a light top styling. Match your Marina model with a Rodos blouse from the same collection, a light blue shirt or a thin knitted sweater in a pastel colour. 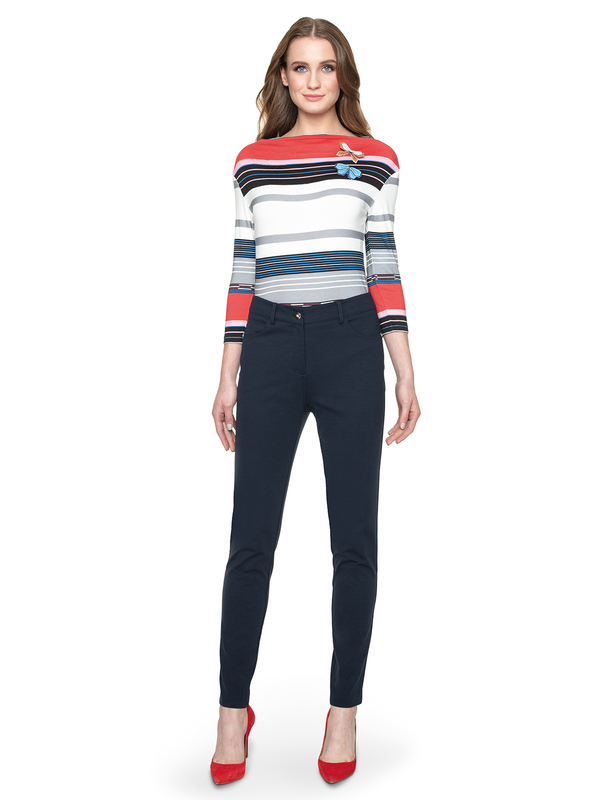 Accentuate the elevated condition of your trousers with a red strap. Put on the same color, choosing the shoes.